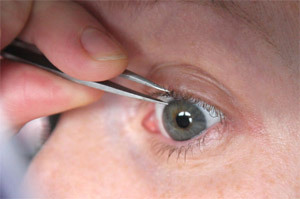 Cosmetic effects – Among the common effects of hair-pulling is thinning or uneven eyelashes or eyebrows. This is a valid concern because your lashes, for instance, serve the important function of protecting your eyes from foreign matter and debris. Several interventions in eyelash thinning or loss include use of an eyelash growth serum for at-home therapy. Isolation – The shame that hair-pulling brings about can drastically curtail work, social, and educational preoccupations of the sufferer. This also extends to a fear of medical care and assistance of various kinds. Repetitive motion injuries – These make it painful to move your arms or hands to pull hair. Often, however, the pain cannot deter the overpowering urge to pull the hair. Possibility of swallowing hair – There are cases where biting or swallowing all or parts of the pulled hairs is done. This behavior can go from being a harmless nibbling to a risky ingestion of the entire hairs. What this can result in is trichobezoar or a hairball, leading to intestinal blockage and surgery. While rare, swallowing hair can happen and turn fatal when not treated or managed immediately. It is quite impossible to predict the duration of trichotillomania among various individuals. It can also turn into a chronic condition without treatment, re-occurring throughout a lifetime. Note, though, that hair-pulling could be a temporary concern during early childhood or at moments of stress or anxiety. Seek treatment such as counseling or having someone remind you to avoid doing this dangerous habit.